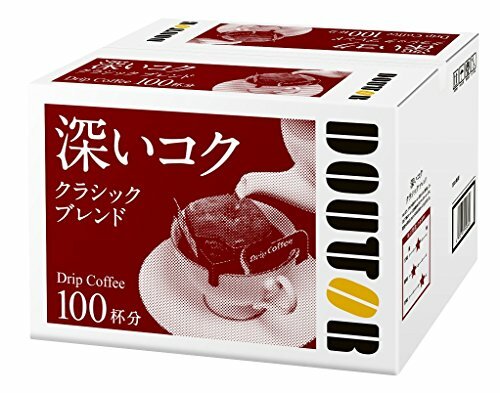 Doutor Coffee drip coffee classic blend 100P by Doutor Coffee at 365 Days Of Kindness. MPN: -. Hurry! Limited time offer. Offer valid only while supplies last. The open fire roasting beans Doutor Coffee is proud uses 100 percent. Regular coffee that is blended Brazil and the beans of Colombia in the main. The open fire roasting beans Doutor Coffee is proud uses 100 percent. Regular coffee that is blended Brazil and the beans of Colombia in the main. Aroma and natural sweetness of medium depth Aburi unique, sour, you can enjoy a bitter taste of harmony. This item has been recommended for those who drink regular coffee at home. If you have any questions about this product by Doutor Coffee, contact us by completing and submitting the form below. If you are looking for a specif part number, please include it with your message.